Drones have long been viewed as little more than cool toys for adults (or at their worst, weapons of war). But people are now beginning to understand that drones can also be useful business tools. How? They collect data, and data collection is big business. Collected efficiently and analyzed properly, the right data helps companies make good decisions faster than ever before. Drones fill a perfect niche, easily accessing the airspace above the ground and below the clouds—that middle place that’s above surface of the earth but below airplanes and satellites. This perspective enables drones to scan, map, and record surfaces and objects in three dimensions with a level of clarity and detail never before possible. Dronelife predicts that in 2017, companies will transition from exploring drones’ potential to implementing their use. Companies have already been purchasing drones to learn about their capabilities in the field. Now business owners are approaching developers with ideas about what drones can do for their companies. Automation is a primary area drones can be utilized. For example, instead of driving for hours to inspect crops, farmers can send a drone to take a look and record how things are progressing. Ranchers can check on their cows without riding the plains in search of them. Construction companies can keep an eye on construction sites and expensive equipment. Property inspectors and insurance agents can survey properties for damage or code violations. According to Entrepreneur Magazine, drones can be cost-effective as well. A job that may have previously taken up to six hours can now be done in one, freeing employees to work more efficiently. Such productivity gains will quickly offset the $2000-$3000 investment in the cost of a roof drone. Employers and insurance companies are always looking for safer ways to perform difficult and dangerous tasks. 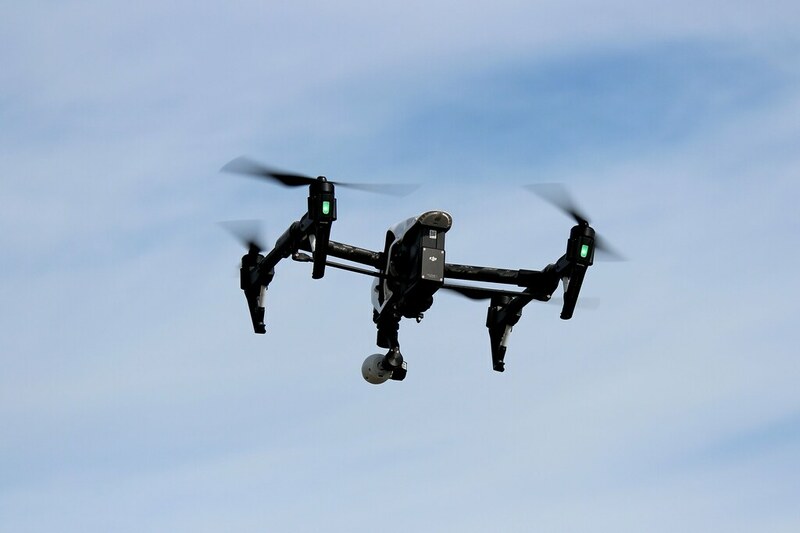 A roof drone can safely inspect and record information on a damaged roof, for example, enabling the insurance inspector to analyze and report on recorded data from the safety of the office. Disaster cleanup companies find drones very useful for estimating damage from flooding, rock slides, and other emergencies, guiding cleanup workers and helping them conduct rescues and repairs with minimal risk. According to Business Insider, the drone industry will quickly change the way many companies do business. As an example, the 2016 Consumer Electronics Show was filled with quad-copters promising faster package delivery. Emergency medical researchers have successfully tested an AED (automated external defibrillator), which can be quickly and efficiently dispatched via drone by 9-1-1 personnel to assist heart attack victims. The drone, which resembles a large spider, carries the AED in its body compartment. When the drone lands, the 9-1-1 caller (or others on the scene) simply follow voice commands issued by the unit to implement potential life-saving measures before the ambulance arrives. Drones are also changing the marketing industry. Since 2014, drones have been routinely used to display advertising banners. Since then, some restaurants have experimented with using them to serve food and for stunts such as hovering mistletoe over tables at Christmastime and displaying ads outside office building windows at lunchtime. Florists have dropped roses over city streets on Valentine’s Day. Many businesses agree that drones offer unique, innovative, and effective ways to advertise their products and services. If a company needs an aerial photograph or a video of a major event, a manufactured prototype, or a new location site, a drone will do the job nicely without scaffolding or helicopters. Drones create stunning promotional photos and videos, while also showing the company as modern and innovative. Amidst the excitement, many companies are also taking a serious look at the insurance and liability aspects of drone flying. This quickly evolving issue has already resulted in insurance companies adding clauses to their contracts. Regulatory and safety concerns regarding drone use will undoubtedly cause many company owners to move cautiously. Although few doubt that the commercial drone industry is poised for takeoff, many bugs still need to be worked out with the Federal Aviation Administration. The question of who has the right to use the air space above the earth has been a push-and-pull issue for decades. To illustrate the importance of drone regulation, consider the recent Oroville Dam crisis, where government drones were used to monitor the erosion of the broken spillway ramp. Facing a seven- to ten-day window to clean the debris at the bottom of the ramp, government workers prohibited private drone owners, including media companies, from flying drones over the area. Any glitch in the cleanup timetable could have delayed the reactivation of the electric power plant downstream and caused the evacuation warning to remain in effect. The quickly evolving nature of drone technology creates many questions about their commercial use and safety concerns. Recent crashes between drones and power lines and a highly publicized landing on the White House lawn put pressure on the FAA to develop a new set of regulations that will need to be updated frequently. As entrepreneurs invent new ways for drones to impact the business world and society in general, companies will respond, using drones to reduce costs and increase safety and efficiency. As a bonus, the publicity that comes with innovative drone use could offer them a publicity boost. For more on the role of drones in digital transformation, see Drones: Poised For Takeoff In The Digital Economy. Mark Chesterman is a drone enthusiast. He aspires to becoming a force to be reckoned with in this field. His passion for drones started after buying a simple quadcopter model and getting a passion for aerial photography. Mark recently started the Droneista project. The website offers useful advice for anyone who wants to learn how to choose a drone or how to fly with it. Also, Droneista focuses on extensive reviews.